The Department for Transport (DfT) has announced a landmark change to the law that will impact all heavy goods vehicle (HGV) operators across the UK, with the speed limit for vehicles weighing 7.5 tonnes or more set to be raised to 50 mph on single-lane carriageways. Overall, the government estimates the move will help hauliers to save upwards of £11 million per year, as the raised limit – it is currently 40 mph – will mean faster journeys, improved efficiency and more loads being completed. Furthermore, transport minister Claire Perry also announced the DfT has now launched a six-week consultation that will focus on the potential future impact of raising the speed limit for HGVs on dual carriageways, from 50 mph to 60 mph. 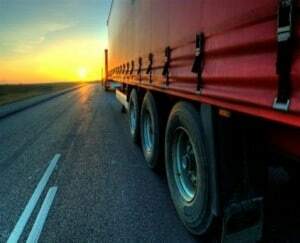 The Freight Transport Association (FTA) stated the move will reduce the previous 20 mph differential between regular road users and HGVs on single-lane carriageways up and down the country, meaning fewer drivers are likely to become frustrated by slower-moving traffic. The change is now being put through parliament and will come into effect once this new law is passed, with the shift in speed limits only applicable for routes where a previous limit of 50 mph or above remains applicable. In areas with a lower speed limit, all road users, including HGVs, will have to comply. He added this original speed limit of 40 mph for HGVs was introduced in the 1960s and therefore it is a welcome development that this “antiquated” law is now being updated. Mr Bingham noted that vehicle technology has advanced immeasurably over the last 50 years and therefore vehicles travelling at this faster speed will be no more dangerous than those travelling at 40 mph. In fact, the move may result in an overall increase in road safety. Chief executive of the Road Haulage Association (RHA) Geoff Dunning was equally enthusiastic about the decision, arguing the change is likely to be appreciated by all members of the UK’s driving community, ranging from professionals to members of the public. “We consider this announcement to be a real win for the RHA. We have lobbied long and hard on this issue and this positive outcome is a result of members’ input and support,” he commented. Mr Dunning claimed the present 40 mph limit for HGVs is “out of date” and generates unnecessary frustration and risk for all road users due to build ups of slower-moving traffic. Meanwhile, managing director of Volvo Trucks Arne Knaben noted the move will not come into effect until 2015, but it is certainly a step in the right direction in terms of both improving safety for all vehicle operators and also delivering key benefits to HGV operators. “The increase from 40 to 50 mph is good news for road safety, as it should help keep traffic flowing more smoothly,” he argued. Furthermore, Mr Knaben claimed the increased limit could also deliver environmental and operational benefits for UK hauliers, allowing for a potential reduction in fuel usage and carbon emissions over the coming years. The move was not backed in all quarters though, as the response of road safety charity Brake highlighted. Deputy chief executive Julie Townsend commented that, simply put, research shows that any increase in speed creates a relative increase in risk of more serious collisions and potentially life-threatening accidents. Ms Townsend concluded that a pronounced speed difference between different types of traffic is known to pose a risk to safety, but she argued no such evidence exists to support the claim that allowing HGVs to travel faster will reduce risky overtaking behaviour. Indeed, ensuring regular road users act in a more sensible and responsible manner should be encouraged instead. As a result, she argued lowering speed limits up and down the country should be the aim of the government not increasing them, while improving levels of driver education regarding the risks of dangerous manoeuvres should also be high on the agenda.